Diet: What Does It Mean To You? Have you ever gone on a diet? If you are like most adults, the answer is YES. What does “going on a diet” really mean? To answer this, first we have to answer the question of what the word diet means. To most people it means, abstaining from certain foods for a given period of time to realize a weight loss goal. While this is a valid definition of the word diet and may have been how you defined it, it is only one way to define it. Another definition of “Diet” is as follows; eating a balance of healthy foods in the appropriate amounts that provide the energy and nutrients to live a healthy and active life. If we follow this definition and we try to do it every time, we stand a very good chance of living a healthy and active life. Diets, dieting, diet products and diet services are everywhere. Annually over 40 billion dollars are spent on diet-related products and services not to mention over 100 billion dollars are spent each year in the fitness industry on gym memberships, personal training and nutritional supplements. It is safe to say that the diet industry is a VERY BIG business and it doesn’t seem to be slowing down. The deeper a person dives into the diet industry, the more confusing it all seems to get. There is a specific type of diet for your blood type, a diet for people that want to eat like our earliest ancestors, a diet that consists of eating cabbage soup, there are diets that restrict your calories to under 1,000 calories a day, diets that dictate when you eat and diets that contain only liquids. The list of diets is never ending and doesn’t seem to get us any closer to living a healthy and active life. Instead it creates undue pressure, shame and questions on what and how much to eat. I believe that creating a diet and following that diet should be simple and easy. It should be so simple and easy that all a person has to do is answer 2 questions… What types of foods need to be eaten? How much needs to be eaten? What types of foods need to be eaten is pretty straightforward. Start with the 5 food groups (Grains, Vegetables, Fruits, Proteins and Dairy). While many can argue that not all foods found in the food groups need to be eaten for optimal health, very few will argue that the nutrients found within the food groups are not necessary. The macro-nutrients (Carbohydrate, Protein and Fat) and micro-nutrients (Vitamins and Minerals) found within each food group are vitally important for optimal health. 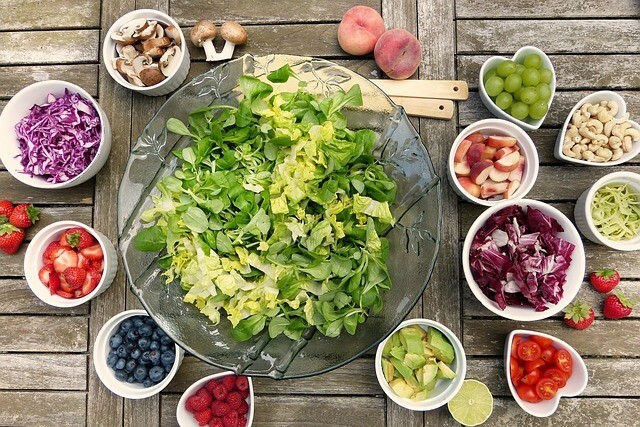 Many people will abstain from certain foods within a food group and even from entire food groups altogether due to moral or health reasons, but in these instances it is vitally important that they fully understand which macro and micro-nutrients are missing from the diet and ensure they are being provided from the other food groups. Choosing healthy foods to eat is paramount to living a healthy life but is only one part of the equation. How much a person eats day in and day out is determined by the amount of physical activity a person chooses to do each and every day. If a person chooses to work a desk job and play video games in the evening, then the amount of energy they need is less than a person who engages in a physically intensive job and chooses to be physically active outside of work. Some people would advise a person to calculate the amount of food to be eaten and the calories provided and ensure that this amount does not exceed the amount of energy needed to do their job and physical activity. While measuring and calculating works, so does starting with smaller portions, eating slower, putting the utensils down in between bites and stopping eating when satisfied. Eat when you are hungry and stop when you are satisfied. The more active we are, the more energy and nutrients our bodies need and this will increase our appetite. 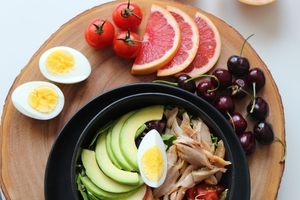 Eat smaller meals and choose to eat healthy snacks in between meals. This helps keep a persons’ energy levels up and reduces cravings and overeating. While our bodies are the greatest machines ever created, they don’t do well without our brains. Think through how much food is necessary to keep us healthy and active. The goal is simple… Live a healthy and active life! To do this, let’s eat the food our body needs that provide us with the energy and nutrients necessary in the correct amounts and let’s Do It Every Time (D.I.E.T.)! Balancing your overall health can be difficult when you have a busy schedule, and when physical fitness is your job, it can be hard to make time for yourself because you’re taking care of everyone else. For fitness educators, keeping physical and mental health balanced can be tricky, but it’s crucial to find ways to feel good every day, no matter how much you have going on. This might mean making small changes to your lifestyle, or tackling things you haven’t previously thought about being tied to your health, such as your sleeping habits or the amount of stress you’re coping with. In our busy world, it can be easy to overlook some of these important factors when it comes to staying healthy. The key is to take a little time for yourself each day. This may seem easier said than done when you have a full schedule, but there are some ways you can get around that. With some careful planning, motivation, and an open mind, you can get your physical and mental health on track in no time. The way you sleep can have a significant effect on your ability to keep up your energy during the day and stay productive, and it can definitely affect the way you feel both physically and mentally. While daily exercise can certainly help you feel tired, you may not be getting the kind of rest you need if your mattress is older. Consider upgrading to a new one, and do some research to find the right mattress for you. Temperature control, spine alignment, and your sleep position all play a role in the type of bedding you need; if you’re comfortable, you can fall into a deeper sleep and wake up feeling much more rested. Gut health isn’t something that makes headlines much these days, but it’s actually very important to your overall well-being. The gut microbiome -- or the tiny world in your gut that houses millions of bacteria and nutrients which play a crucial role in your health -- is something that needs to be maintained if you want to keep your mental and physical health in check. Because some of the microbes in your gut release feel-good hormones like serotonin, it’s important to make sure you’re eating the right foods, such as yogurt and sauerkraut. These will keep your microbiome healthy and, in turn, keep you feeling great. Taking some time for yourself can be difficult when you have a busy workday ahead of you, but even just five or 10 minutes a day can help you recharge and boost your mood. Whether you want to catch up with a friend, take a hot shower, or go for a walk outside, taking a timeout can benefit you greatly when done regularly. It can also keep you from getting stressed, especially during a particularly long day. You might stay physically active as part of your job, but it’s also important to maintain social connections. This can help reduce the symptoms of depression and loneliness and can boost your mood and self-esteem at the same time. Whether you prefer hanging out with friends, spending time with family, or meeting new people in a social setting, there are plenty of ways you can stay active and vital outside of your job. Balancing your overall health can be tricky, but it doesn’t have to be stressful. By incorporating a few different tactics into your daily routine and finding new ways to feel good, you can make sure your mental health matches up with your physical health. The nation's children and teenagers aren't drinking enough water, according to research in the American Journal of Public Health. Researchers found a worrying trend among the country's boys, with males 76% more likely to be poorly hydrated than girls. For youngsters participating in regular sporting and physical activity, hydration is especially important as it keeps their brains and bodies functioning correctly. Therefore, as a teacher who is dedicated to children’s health and fitness, it's best to include fun hydration sessions alongside your nutrition and fitness education. Kids need to understand that hydration, nutrition, and fitness go hand in hand. Eating well is crucial for kids who thrive for good physical performance, for staying healthy and for fighting off disease. But children exercise, they sweat up to 1.4 liters in an hour. Therefore, this fluid loss needs to be replaced with good quality water. Get a selection of water from different sources together and perform tests with your class to determine which of the fluids is the safest to drink. You can then split your class into two and have one group run around the track with sipping from water bottles and the other without. Then compare the lap results and physical feelings of the two groups to prove how hydration is a vital part of life. Learning about hydration needn't be boring. Fun, interactive sessions can include comparing a tomato plant which has received adequate hydration compared to one that has gone without. Encourage the kids to get their hands dirty by getting them to feel the physical effects of dehydration on the plant, in addition to noting the visual impact of a lack of water. Another way to demonstrate the effects of hydration and dehydration is by soaking sponges in a bucket of water to highlight how they dry up at different rates in different conditions. 30% of youngsters drink two or more sugary drinks every day, according to the CDC. With drinks such as soda available in fun colors, kids see it as nothing more than an exciting drink. So it's important to teach children that these drinks contribute to poor performance as they can lead to dehydration due to the caffeine in them acting as a diuretic, which in turn can lead to fatigue. Ply kids with the knowledge that water is the only method of hydration that they need to achieve their fitness goals and they'll flock to fill up their water bottles. As a teacher, it’s your role to educate children on all aspects of physical education, including the link to fitness, nutrition, and adequate hydration. By introducing this notion in the form of fun, interactive and knowledge sessions, you’ll ensure that the children you teach are as healthy as can be. Scooter Relay or Respiration Relay? Four Square or Risk Factor Four Square? Pin Down or Energy Pin Down? I am tired of the practice of validating our profession by saying physical activity helps increase math or reading scores in the classroom. What we teach is so important! Focused Fitness also believes it is vital and has doubled-down on it by expanding what we teach in our gyms! They have equipped me with activities, insights and new perspectives and have transformed me into a bonafide HEALTH and Physical Education Teacher and they'll do the same for you! I challenge you to “Sprinkle health” into your activities this holiday season and beyond! View my Respiration Relay Lesson Modification Video here. 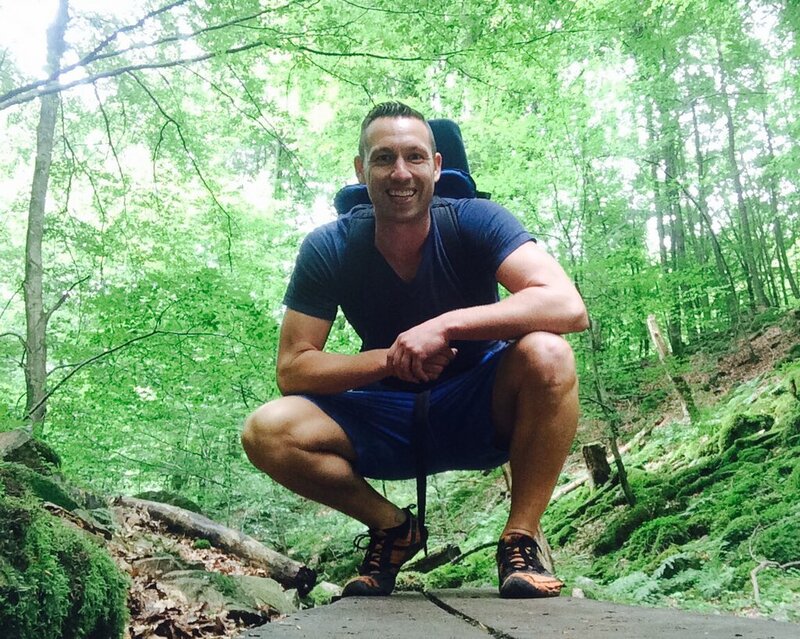 Success Story: "What I Am Going To Learn In PE Today!" One of our main beliefs at Churchill Road is that we want our students to understand the importance and value of our physical education classes and how it impacts them. We also understand that our class has the unique ability to combine content with a variety of games and movement-based activities. We spend a lot of time looking for new games and ways to hook our students’ attention based on current elementary school fads (flossing, video games, movies) but we always make sure the activities we choose fall in line with our learning targets. Before the start of each class we use a projector to showcase what we will be doing for the day. We begin with the learning targets for their grade level. We show a set of learning targets for their unit every day and highlight the ones that we will focus on for that day. We explain that we can’t cover them all in one day, but over the course of the unit this is what they will be learning. Then we explain the activities planned for the day. One day when we were getting the projector ready, one of our kindergartners raised his hand and had a big smile on his face. I called on him and he shouted, “I can’t wait to see what our learning targets are for PE today! Learning targets are what I am going to learn in PE today!” In that moment, I knew that if our youngest students know why they are in PE class, we are making a difference, and our students are on the right path to understanding the purpose and value of our class. I love using WELNET to assess my students! I have been teaching Physical Education for 15 years and began using the program with my students last year. It has transformed how I assess, report and use data in my classes. I only see my students once a week for 45 minutes, so it is essential that I have a program that allows me to effectively and efficiently record students’ skills and fitness performances without sacrificing activity and teaching time. This program is it! Not only can I quickly input student scores, but WELNET also compiles all that data for me. I then use that information to know which specific students or classes I need to reteach a skill to, and which fitness areas they need to focus on. We have begun inputting this year’s fitness scores into WELNET. This will enable students to compare this year’s fitness scores with last year’s. In the past, it has been difficult to track scores from year to year. Not anymore! Now students have a clear, accurate picture of their fitness scores over time. Soon I will begin teaching students how to reflect on this information and use it to make a fitness plan for improvement or maintenance. I can’t wait to see the results! My students’ parents are loving WELNET, too! They can access their child’s fitness and skill performance tests online in real time or through the parent reports that I send home. This has started to bridge a communication gap between myself and some parents regarding their child’s health. Now, they can clearly see where their child is and start to encourage change at home. What a game changer! I am so thankful for WELNET and can’t wait to see the differences it makes in my students this year and for years to come. It is priority number 1 in my budget! Physical literacy is a journey that includes the heart. Polar GoFit data is stored in WELNET Wearables Module and accessible via the internet. With WELNET and Polar you're able to analyze data from heart rate, fitness measurements, cognitive assessments, motor skills, behavioral logs, etc. to validate and support quality physical education. There is now one location for all fitness and health data. Contact us at 509-327-3181 option 3 for more information about WELNET Wearables Module and how you can add "heart" to your physical education program. Looking to incorporate classroom activity breaks? Fab 5: Fast Fitness is a compilation of classroom activity breaks designed to increase cognitive performance, concentration and fitness! 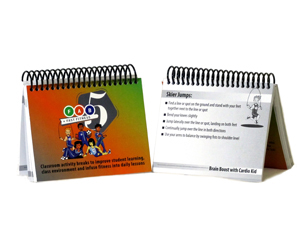 Fast Fitness is 112 cards containing research information for classroom teachers, introductions to the Fab 5 characters, and 99 exercise cards. Get Fab 5: Fast Fitness for only $10* (reg. $15) -- Use code: FAST10 That's only about 5 cents per card! Grab this deal FAST as it won't last long. 23! No, not Michael Jordan; teaching years. It’s hard to believe this will be my 23rd year teaching physical education. It sounds surreal to say. But the reality is the years have flown by incredibly fast. There have been great years, and challenging years. People may not believe me, but the challenging years tend to be the best years. They have been my defining years as I look back on my teaching career. My teaching career started in the least expected place for me, Mexico City. The kid from Maine ended up at the American School Foundation of Mexico City. What an amazing experience; the culture, the school, the students. The opportunity all started with a friend asking me “What do you have to lose?” And he was right, I had nothing to lose. Although language and lack of equipment were always obstacles at ASF Mexico City, overcoming those obstacles made me a better teacher. I may not have had the best solutions the first time around, but being persistent and willing to try new things never hurt. As if teaching in a different country wasn’t enough, I found myself teaching in Las Vegas after two years in Mexico City. Viva Las Vegas! It was the late Nineties, the classes were huge (upwards of 80 students at a time) and the heat was scorching. If you can survive teaching outside with large groups of students in the Las Vegas heat, you can basically teach anywhere. Teaching in Las Vegas was tough, but it forced me to look at my teaching practices, which were still developing at the time. It forced me to focus on organization and class management. This may seem like the obvious thing to do, but when you’re in your twenties, you think you know it all. It’s not always easy to look at what you need to improve on and make changes. Actually, it can be pretty tough. Let’s be real, it can be fun to celebrate our successes and hide from our weaknesses. But looking at our weaknesses and addressing them allow us to grow professionally. I believe my time teaching in Mexico City and Las Vegas allowed me time to develop into a good teacher. Not a great teacher, a good teacher. I can say this in hindsight with comfort. But I’m sure at age twenty six I thought I was hot stuff. The truth is I still had room to grow as a teacher. The experiences at these two teaching spots presented many obstacles and challenges for me as a new teacher. Challenges such as lack of experience, large classes and diverse communities all added up. But they also helped define who I would become as a teacher in the future. Someone who would continue to build a strong foundation of best teaching practices, and continue to improve on those practices by willing to change and evolve. After Las Vegas my friends convinced me to move to Northern Virginia. Apparently, the heat got to me (actually, I just missed the east coast). All is well in the life of teaching. I got this, I told myself, easy-peazy. At thirteen years into teaching I had a great foundation for teaching best practices. This is when I faced one of, if not the biggest challenge in my teaching career. My district was implementing a new curriculum. Looking back, it was the perfect time to have an evolution as a teacher. This did not come easy, I was being challenged to add health content into my teaching during physical education. I was adding some in here or there, but not on the scale of the new curriculum and state standards that were changing. Admittedly, I was trying to teach the new content in one part of the lesson and then continue with what I had already been teaching or was more familiar with the other half of the lesson. After many failed attempts and frustrations, I began to evolve. I began to blend the two together. Combining the content into physical activity. It’s hard to believe but almost every lesson now includes motor skills, nutrition, bones, muscles and the five components of fitness. It didn’t happen overnight, but it happened. I’m not sure that would have happened without the mindset or willingness to change. The willingness to succumb to the fact that change won’t hurt me as a teacher. It will make me better. To understand that I don’t have to tear the fence down to change, but an occasional fresh coat of paint works wonders. Success Story: CMS is "ALL IN"
Charlotte Mecklenburg Schools (CMS) is committed to "developing" healthy, active kids. District and school teams work together on dynamic programs that measure student outcomes in relation to student wellness. Knowing the relationship between wellness and social-emotional learning, CMS has invested deeply in health and physical education. Why has CMS been successful in measuring student outcomes? Using district data through WELNET®, health and PE funding requests are aligned with the district’s strategic plan and initiatives. In other words, funding proposals are written to show impact on students in a compelling manner. In 2015, CMS provided $115,000 in fitness equipment to support the high school fitness electives courses. Each high school received jump ropes, mats, medicine balls, and resistance bands. Purpose: To transform high school gymnasiums into fitness centers. In 2016, CMS provided $133,000 of functional resistance equipment for all 43 middle schools in the district. Purpose: (1) To educate and promote lifetime fitness (2) To maximize gymnasium space for quality instruction. In 2016, CMS provided $147,000+ to provide staff training and classroom furniture to promote active learning environments. Purpose: To redesign classroom environments and instruction to promote movement. In 2017, CMS provided $343,000+ to purchase PE equipment for all 110 elementary schools in the district. Each school received $3,000 for PE equipment. Purpose: To ensure elementary PE teachers had adequate equipment and resources to deliver quality instruction. In 2015-2017, CMS provided over $400,000+ to provide five high schools with new commercial quality weight rooms. Purpose: To ensure high school weight rooms are in compliance with safety and health standards. In 2017, CMS provided over $18,000 in funds for August training for over 400+ health and PE teachers. Purpose: To improve teacher practice to implement quality health and PE programs in all K-12 schools. In 2018, CMS provided over $360,000 in district funding to provide four high schools with new commercial quality weight rooms. Purpose: To ensure high school weight rooms are in compliance with safety and health standards. In 2018, CMS has designated over $46,000 to provide substitutes for teachers to learn about a CMS-developed program called B3: Brain, Body, Behavior. All 110 elementary schools will send a team of 3 teachers to attend the training during 2018-2019 school year. Purpose: To educate teachers on how to use purposeful movement to address social, emotional, learning needs or our students. In 2018, CMS is allocating over $26,000 to provide substitutes for all secondary health teachers. Over 100 CMS health teachers will be trained on the district’s Choice Led Health Classroom curriculum. Purpose: To ensure all health teachers understand and implement the district’s health education curriculum. Celebrating 29 years of teaching allows you to reflect on one’s history and life as a Health and Physical Educator. It’s been a blur at times, hard to believe the years fly by so quickly. I believe it’s due to the level of passion that I still have and I’m now looking forward to year 30. Wow 30 years already. Seems like yesterday that I dusted off my degree that I had earned in 1980 from Central Connecticut State University, beginning my career in 1989. Prior to that I was a Parks and Recreation Director from 1980-84 and then had a business career in Real Estate as a sales representative, and then as a broker, opening my own office in the late 1980’s. Luck would bring me to teaching as the market conditions dwindled and I closed my fledgling business. I was offered two positions in Colchester taking the K-5 position at Jack Jackter Elementary School in September of 1989. I’ve been fortunate to work with great mentors, colleagues, and of course countless students and their families. The “Stars and Stripes of Teaching” have brought me so many moments of joy and student success. The “Stars” are the students, the “Stripes” what they’ve earned in a sense when they achieve success. The same goes for us as educators. You must put in great effort to achieve as an educator. It’s a rewarding field, but one that takes grit and determination at times. Part of what I enjoy doing is spending time being a part of countless programs: Jump Rope for Heart (25 years as Chairman), A.C.E.S. (All Children Exercising Simultaneously), P.T.O. fundraisers from pasta dinners, to family fun nights have allowed me to be a part of the lives of our students and their families in a fun, relaxed way. With 29 years comes second generation students. It’s so great to see “students” that are now “parents”. They reflect on their experience and it makes for a settling influence for their children. It’s one of the perks of being an educator for 29 years. I guess it’s an earned “Stripe” that I’m afforded this opportunity. This year has been memorable for me professionally. 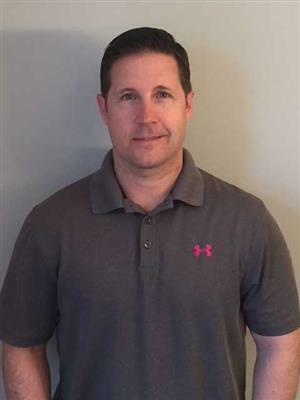 Last June I was nominated by a colleague from Central Connecticut State University for Connecticut’s Elementary School Physical Educator of the Year through our professional organization CTAHPERD (Connecticut Association for Health, Physical Education, Recreation and Dance) under the umbrella of SHAPE America. I’m pleased to say I was honored with this award. It’s certainly humbling. It does give me the drive and determination to continue to make my 30th year even better for my students and their families. What I’m truly proud of is being named Jump Rope for Heart Coordinator of the year for last year’s event through the American Heart Association. This also was announced at the CTAHPERD convention. This year’s event topped last year’s. We (Colchester Elementary School) raised $31,180 becoming Connecticut’s best for 2018. Amazing for a PK-2 school. I’ve been fortunate to be involved locally, regionally and statewide. Giving back to our profession is so critical. Advocating for Health and Physical Education is so important. Giving our students a well-rounded education is key to their future development. As an educator I’m a lifelong learner and continue to strive to do my very best. Learning never ends. The key is passion and the love for what you do. I’ve been asked “when are you retiring”. My answer, “I have too much to accomplish to even think about that”. My passion for my students to earn their “Stars” and for me to earn my “Stripes” continues to burn brightly. “My greatest success as a teacher is seeing the fruits of my labor BLOOM! I have changed my entire perspective on teaching Health and Physical Education since beginning in 1998. At the start, it was all about the games and skills. Although state standards have the motor skill development portion, I personally have much higher expectations for my students now. The change in Virginia State Standards of Learning has pushed me to challenge my teaching strategies as well as my students. 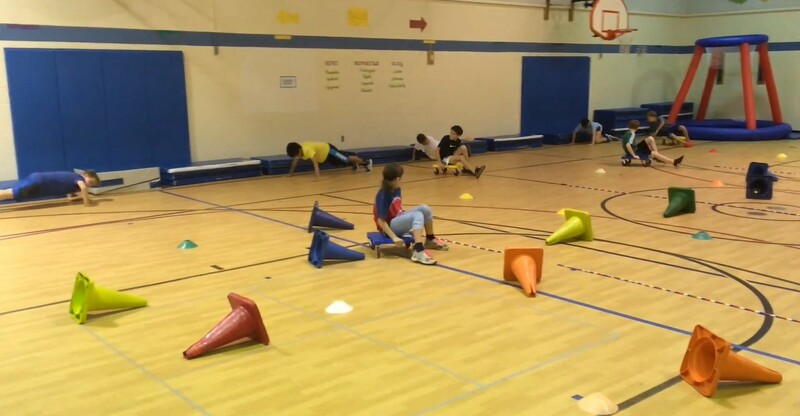 Health and Physical Education content-based instruction has increased the physical competency of my students and has allowed me to improve their knowledge year after year. With the challenge of creating content driven physical activities comes the glorious benefits!! 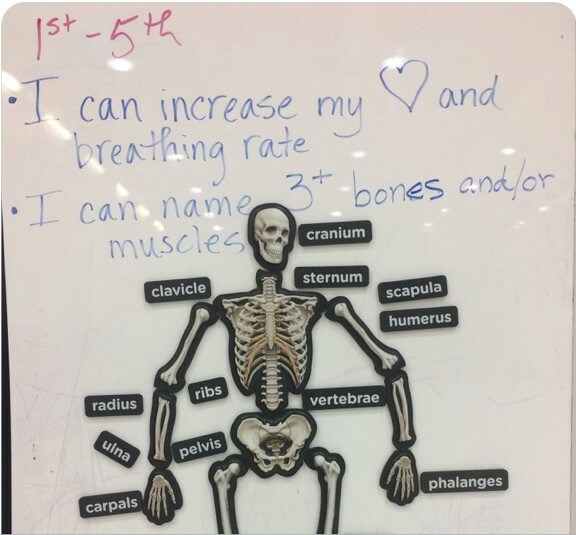 The BLOOM happens when my Kindergarten students can name every major bone in the body (Anatomical Basis of Movement). The BLOOM happens when a 5th grade student finally has a light bulb moment in a game of Energy In-Energy Out (energy balance) and realizes food and exercise choices are VERY important to his/her well-being. The BLOOM happens when every student that walks in the door enjoys their time in Physical Education and I KNOW that they are leaving with more knowledge than when they entered.